Our hotel owners will welcome you personally. They want their hotel to be somewhere you can feel "at home". 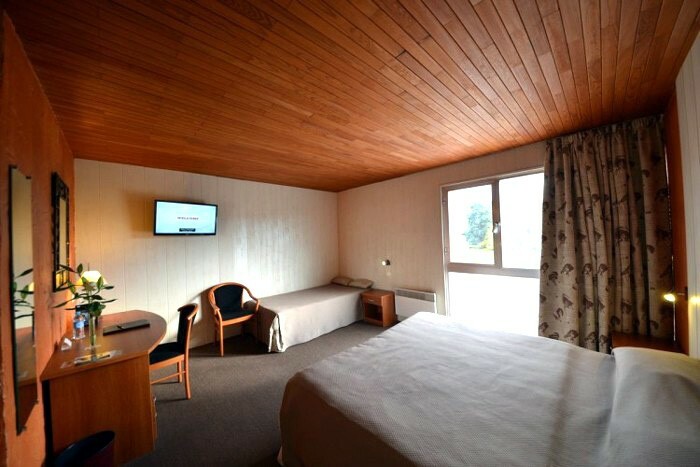 Just outside Montlucon, this conveniently located and individual hotel offers a top quality service at a reasonable price. an alternative to the usual impersonal greetings in chain hotels. The residential area of Chatelard, in the suburbs of Montlucon, is a calm and peaceful location. There is virtually no traffic at night. The calm environment is reflects the nearby Bourbon countryside. The gardens and surrounding areas are full of birds, squirrels and rabbits.